Orange blossom water is distilled water that contains the essential oils of the orange blossom. It adds a hint of a citrus scent to foods and compliments the flavor. Orange blossom water is used in many lamb dishes, desserts, and is perfect for fruit. A little goes a long way, so add it a few drops at a time to determine how much you like. The blossoms of Seville oranges are believed to produce one of the finest orange blossom waters, since they have a very strong, rich aroma. Other oranges can be used as a source of orange blossom water, of course, but they may not yield the desired high essential oil content. 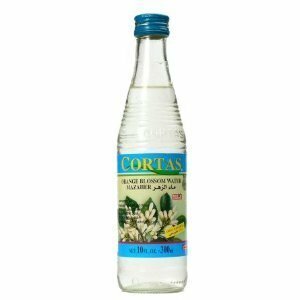 If you have any questions about this product by Cortas, contact us by completing and submitting the form below. If you are looking for a specif part number, please include it with your message.